To save those she cares about, Emily must confront The Machinist's ultimate creation—an automaton more human than machine. And if she's to have any chance at triumphing, she must summon a strength even she doesn't know she has. What is it with mad scientist buggers who want to stick brains in places they don't belong? 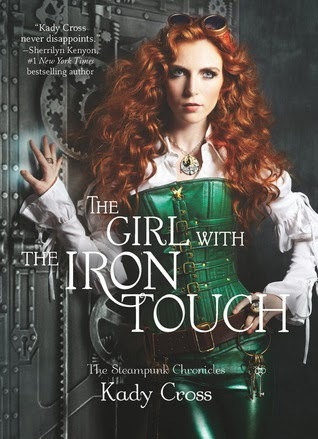 I've waited a darn long time to read THE GIRL WITH THE IRON TOUCH that's for sure! 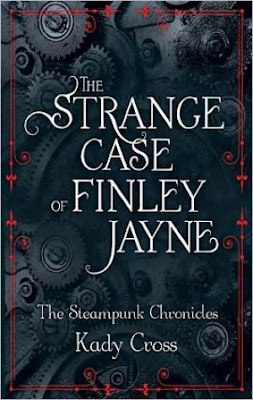 Kady Cross' YA steampunk books are always engaging quick reads that I breezed through this in a flash and I didn't realize how much I missed Finley Jayne & Co. til I've read Steampunk Chronicles 3. What I love about this series is though there's an overarching plot and Finley Jane is the lead, each installment tells the story of a member of their ragtag team. I love getting to know the secondary characters more which prevents the series from getting stale, all the while Griffin and Finley's story is moving slowly in the background. The downside is you have to read the books in order and won't be able to get away reading it as standalone. 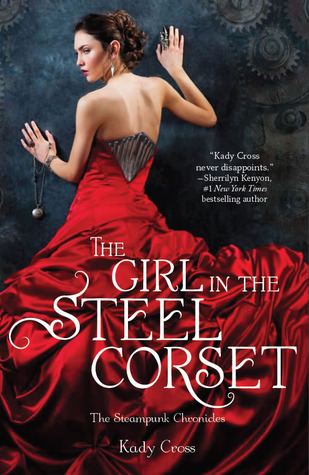 Now THE GIRL WITH THE IRON TOUCH picks up the thread with The Machinist, Griffin King's arch enemy, who was introduced to us in book 1, The Girl in the Steel Corset. But instead of making a move directly against Griffin, The Machinist abducts technomancer, Emily, and forces her to assist him in his next evil plot. Of course Finley and her crew won't allow that to happen so they plan a rescue mission but The Machinist is too slick and he lived on. The good news is, Emily was saved and a new member is added to their team, Mila, and automaton, whose story will be told in the next book. Though I love the world building and romantic developments amongst the characters, the plot development here is a little slow paced. For over half of the novel, they're still speculating Emily's whereabouts, consulting maps and sniffing around. Meanwhile, Emily, is making friends with Mila, the friendly automaton, and playing good prisoner. Sure there are other things happening in the background like Griffin and Finley taking their relationship a step further and some force manipulating the Aether but these are symptomatic compared to the main plot. Sam cupped her face as he pulled back just enough to look her in the eye. "I don't want to lose you." "You won't. You won't ever lose me, I promise." And she meant it. "And someday, I'm going to make it so that all you want to do is smile." The story picked up for me towards the latter quarter of the story. KCross upped the ante and it was at a breakneck speed from that point til the end. Not only do we see the range of Emily's abilities and Sam's devotion to her, their relationship also got solidified here and I guess they're officially a couple now. What I find interesting and am excited over is the next story. The handsome, magnetic, and very mysterious, Jack Dandy found himself an admirer in Mila. It's safe to assume that theirs will be the next HEA to be told on top of this ongoing battle between Griffin and The Machinist. So if you're a YA reader I sure hope that Steampunk Chronicles is on your to-read list. I read first two books in this series and enjoyed them, but sadly, for some reason I just couldn't finished this book. It was kinda slow, right? One day I should try this series! I'm glad the characters and the worldbuilding were nice, too bad for the slow pacing though... it happens. thanks for the review. Thanks for checking it out, I hope you get to read at least the prequel novella soon! It wonderful to hear it features telling you about the other characters. I didn't realize that. I will have to pick up the first book! I really enjoyed this series a lot. I just read the last one last week actually. But they are fun and fast reads. :) Glad you enjoyed pretty well. Yay! I'm planning to read the next one soon! I like a series full of standalones, but there's something to be said for an overall series arc. I'm glad you enjoyed this. Thanks for the great review, Braine! Thanks for checking it out, Andrea! These do sound like they have a lot going on and I just need to get around to reading them. That's what I say every time you review an awesome series. Me too! It wasn't all that bad but compared to the first two books, this took time to develop. Yes, let's make every Sunday a steampunk one! Although this book was a little slow, it sounds like a great book in the series. I haven't read any of these as yet, but I would like to. Great review! I couldn't get past the first book. Everything dragged for me. Seems like I am not missing much with the series. Though I am happy you are enjoying it some. I am a little worried though because... this book sounds like it has a lot of happy couples roaming around and I am the kind of person who doesn't enjoy a lot of secondary romances in a series/book .-. I am glad though that this book did end up picking up the pace so that it wasn't completely boring. Yeah, they're slowly pairing up. I'm ith you on that one but I so love the world building here that I easily overlooked that. 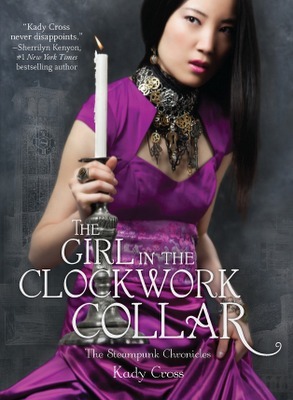 I love steampunk stories, and last week, I added this series to my TBR. Now, I feel like I should start it sooner rather than later thanks to your great review. I'm happy to hear that, Lexxie. Who knows, you might end up liking this more than I did. Will definitely check this one soon~ I've actually been meaning to start it for a long while now, but just haven't found the time. Eek. I wish we could have all the time in the world to read all the books :( Wouldn't that be just grand... in any case. three stars isn't all that bad, though I wish it ended more in a huge, huge bang. Thanks for the review, love! I really need to get caught up on this series, I read the first book and novella and really liked them and then just sort of put it on hold. Glad you liked this one. Awww I really liked this one. I just went back and read my review. Jack has the best lines. It got off with that rather interesting start with the... ! !